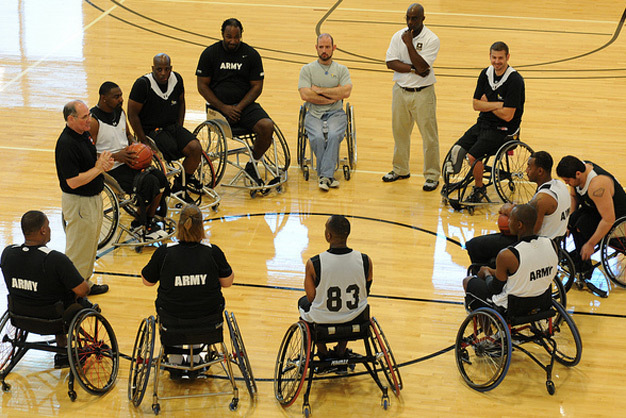 The Army wheelchair basketball team form a huddle during a team practice for the 2012 Warrior Games, April 23, 2012. The Warrior Games, hosted by the US Olympic Committee, feature service members who are wounded, ill or injured in a variety of sporting events. Photo by Army Sgt. Jerry Griffis, 43rd Public Affairs Detachment.